What Is Passive Optical Network? Passive Optical Network (PON) is a form of fiber-optic access network that uses point-to-multipoint fiber to the premises in which unpowered optical splitters are used to enable a single optical fiber to serve multiple premises. 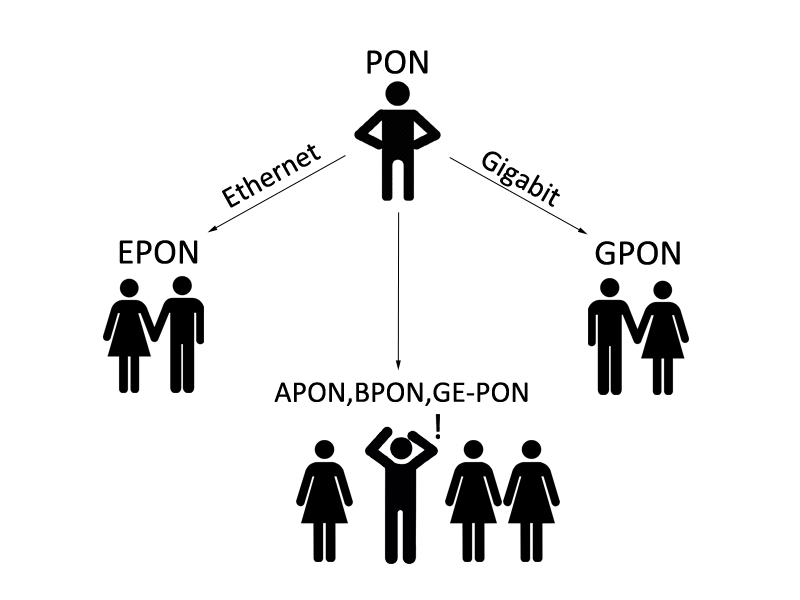 A PON system consists of an OLT at the service provider's central office and a number of ONU units near end users, with an ODN between the OLT and ONU. 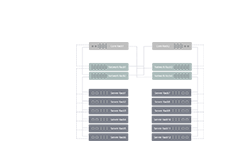 PON reduces the amount of fiber and central office equipment required compared with point-to-point architectures. The most obvious advantage of the PON network is the elimination of the outdoor active devices. All the signals processing functions are completed in the switches and the user premises equipment. The upfront investment of this access methods are small, and the most funds investment is postponed until the user really access. Its transmission distance is shorter than the active optical access system. The coverage is also smaller, but it is low cost, no need to set the engine room, and easy to maintain. So this structure can be economically serve for the home users. Seen from the entire network structures, due to the larger numbers of laying optical fibers, and widely applications of DWDM technology, the backbone network has been a breakthrough in the development. The same time, due to advances in Ethernet technology, its dominant LAN bandwidth has increased from 10M, 100M to 1G or 10G. At present, what we are concerned about is the part between the network backbone and local area networks, home users, this is often said that the "last mile", which is a bottleneck. It is necessary to break this bottleneck. It is as if in a national highway system, trunk and regional roads have been built in the broad high-grade highway, but leads to the families and businesses of the door was still narrow winding path, the efficiency of the road network can not play. ODN is a FTTH fiber optic cable network based on PON equipment. Its role is to provide optical transmission channel between the OLT and ONU. Accroding the function, ODN from the central office to the client can be divided into four parts: feeder fiber optic subsystems, cable wiring subsystem, home line of fiber optic subsystems and fiber terminal subsystems. 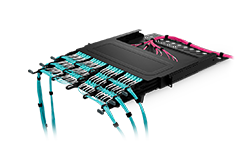 The main components in ODN include optical fibers, optical connectors, optical splitters and corresponding equipments for installing them. OLT is a terminal equipment connected to the fiber backbone. It sends Ethernet data to the ONU, initiates and controls the ranging process, and records the ranging information. OLT allocates bandwidth to the ONU and controls the starting time and the transmission window size of the ONU transmission data. ONU is a generic term denoting a device that terminates any one of the endpoints of a fiber to the premises network, implements a passive optical network (PON) protocol, and adapts PON PDUs to subscriber service interfaces. In some contexts, ONU implies a multiple subscriber device. 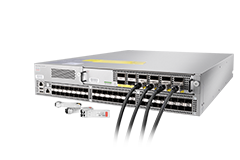 Optical Network Terminal (ONT) is a special case of ONU that serves a single subscriber. APON (ATM PON) is the first PON system that achieved significant commercial deployment with an electrical layer built on Asynchronous Transfer Mode (ATM). BPON (Broadband PON) is the inhanced subsequence of APON, with the transmission speed up to 622Mb/s. At the same time, it added the dynamic bandwidth distribution, protection and other functions. APON/BPON systems typically have downstream capacity of 155 Mbps or 622 Mbps, with the latter now the most common. GPON (Gigabit PON) is based on the TU-TG.984.x standard for the new generations of broadband passive optical access. Compared with the other PON standards, GPON provides the unprecedented high bandwidth downlink rate of up to 2.5 Gbit/s, the asymmetric features better adapt to the broadband data services market. It provides the QoS full business protection, at the same time carries ATM cells and (or) GEM frame, the good service level, the ability to support QoS assurance and service access. Carrying GEM frame, TDM traffic can be mapped to the GEM frame, 8kHz using a standard frame able to support TDM services. As a carrier-grade technology standards, GPON also provides access network level protection mechanism and full OAM functions. GPON is widely deployed in FTTH networks. It can develop into two directions which is 10 GPON and WDM-PON. Each ONU is assigned with a pair of wavelength, for uplink and downlink transmission, thereby providing the OLT to each ONU fixed virtual point-to-point bidirectional connections. ONU uses tunable lasers, according to the needs of the ONU to dynamically allocate the wavelength, and each ONU can be shared the wavelength, the network are reconfigurable. Using colorless ONUs, the ONU are independent from the wavelength. Using a combination of TDM and WDM technology, Composite PON (CPON). CPON uses WDM technology in the downstream, and TDMA technology in the upstream. EPON (Ethernet PON) is the rival activity to GPON which uses Ethernet packets instead of ATM cells. GEPON uses 1 gigabit per second upstream and downstream rates. It is a fast Ethernet over PONs which are point to multipoint to the premises (FTTP) or FTTH architecture in which single optical fiber is used to serve multiple premises or users. EPON is an emerging broadband access technologies, through a single fiber-optic access systems, to access the data, voice and video service, and it has a good economy. With the continuous progress of science and technology, the Internet has gradually gone into the homes of the ordinary people, and the speed of broadband has increasingly become the topic of people in the entertainment and work often, from narrowband dial-up to broadband Internet, and then the fiber access Internet, broadband network, the rapid pace of PON technology gradually come to the front. Currently, there are two quite compelling PON standard has been officially released, which are GPON standard developed by the ITU/FSAN and EPON standard developed by IEEE 802.3ah working group. PON technology has been no doubt the ultimate solution for the future FTTH era. EPON and GPON who will the dominant FTTH tide has become a new hot debate. What's the difference between EPON and GPON? Here is a comparison in several aspects. The proportion of its total bandwidth is used for the the burst reception of physical layer overhead: about 2.0% GEM (GPON encapsulation method) frame and the Ethernet frame encapsulation overhead: about 5.8% The PLOAM (physical layer operation, management and maintenance) protocol overhead: about 2.1% Remaining slots of the DBA algorithm introduced the additional encapsulation overhead: about 0.8% GPON upstream total overhead is all of the above about 133 Mbit/s, the available bandwidth about 1111 Mbps. 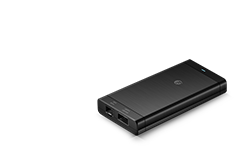 EPON: IEEE802.3ah standard. 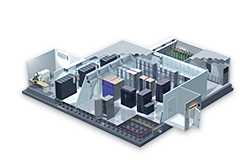 The standard defines the physical layer of EPON MPCP, the OAM and other related contents. Basic principle for IEEE developing the EPON standard is 802.3 architecture EPON standardization work, minimal expansion of the standard Ethernet MAC protocol. GPON: ITU-T G.984 series standard. The standard defines the provisions of the GPON physical layer, the TC layer and OAM functions. The GPON standard formulation to consider the support of traditional TDM services, still using the the 125s fixed frame structure to maintain 8K timing continuation. To support ATM multi-protocol, GPON defined an entirely new package structure GEM (GPON encapsulation method), ATM and other protocols can be mixed encapsulation framing. EPON: There are currently 5-6 professional firms providing the EPON core chip (excluding self-designed chip system vendors), these manufacturers have started to chip design and verification during the discussing of the standard, so most of them have launched a second-generation compatible and standard chip when the 802.3ah standard formally promulgated, which can quickly support the EPON system of large-scale deployment. GPON: Except for the GPON chip, there is no the a professional chip manufacturers launched a commercial GPON core chip that independently designed by themselves. The GPON equipment modules are dedicated to the independent or collaborative development module, no the professional module manufacturers can provide samples, not to mention the mass production. 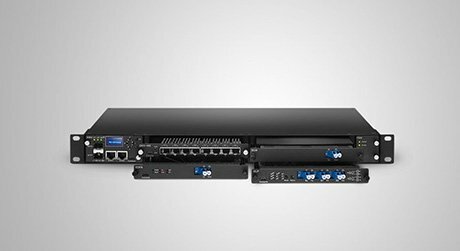 The most questions about EPON is its capacity of transmitting the traditional TDM EPON multi-service. Not to mention the current EPON equipment manufacturers to use the patented technology of the TDM over Ethernet provides TDM EPON single segment of the business of transmission channels, from the test results, and its performance is completely meet 1.5ms delay index requirements, in full compliance with the traditional TDM services standards. Even in ordinary Ethernet devices, now it also can use a variety of standard PWE3 (pseudowire emulation edge to edge) devices to provide cross-network segment, the end-to-end transparent traditional point-to-point TDM channel. With the dwindling proportion of traditional TDM traffic using packet switching technology TDM services asylum growing packet networks, will undoubtedly be a more economical means. 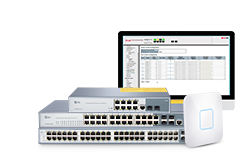 Security, EPON standard AES-based encryption technology, with the security of GPON. 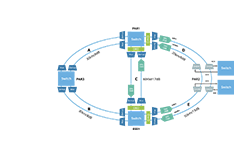 In QoS, EPON defines eight priority queues, DBA algorithms are also taken into account the priority queue bandwidth allocation strategy and fairness and other issues. IP a priority or Ethernet priority packet can be easily mapped to eight priority queues, and then through the DBA algorithm guarantees the transmission bandwidth and delay, QoS requirements fully meet the needs of different business . The GPON OLT detects the traffic load of each CONT-T for prediction/analysis ONU business flow and network congestion and allocate resources to each CONT-T, according to the network conditions, but does not involve the VP/VC, or Port_ID QoS. VP/VC, or Port_ID provide QoS guarantees by the corresponding mechanisms at both ends of the ATM/GEM client. For different QoS requirements of the business, GPON by to use pointers arrangements ONU using the different transmission mode to achieve: to adjust its authorized bandwidth and authorization cycle to guarantee the bandwidth and latency requirements of the business. In fact, how to guarantee QoS EPON and GPON implementation mechanism is essentially the same. 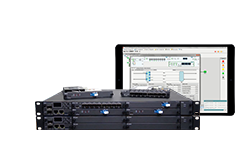 OAM including the GPON bandwidth authorized allocation, DBA, link monitoring, protection switching, key exchange, and various alarm functions. 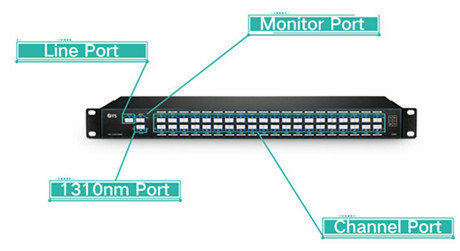 Itself from the standard point of view, the GPON standard defined richer OAM information than the the EPON standard definition, but from the actual equipment of view, both provide the functionality and not much difference, the current EPON equipment can also provide these features. To sum up, in terms of QoS, multi-service bearer security, the current EPON products are similar with GPON standard specified. But the cost per unit bandwidth is much lower than the EPON, besides EPON technology is more mature, earlier be accepted by the market, and earlier enter the commercial stage in large-scale. The next generation network is a packet-based network, Ethernet as the absolute mainstream bearing platform of the packet network has become an indisputable fact. The user network interface in the future is certainly an Ethernet interface, the Ethernet interface on the MAN will surely be ubiquitous. Using Ethernet technology to connect the Ethernet interface on both sides will be a very natural thing.